One of the common complaints that the companies receive from their customers is the grout line cleaning of the restroom. At the time of cleaning the restroom, it must be kept in mind that the room should not only look clean but also give a clean feel and smell. In order to maintain the highest level of cleanliness inside a room, it must be ensured that the best Grout Line Cleaning should be administered. 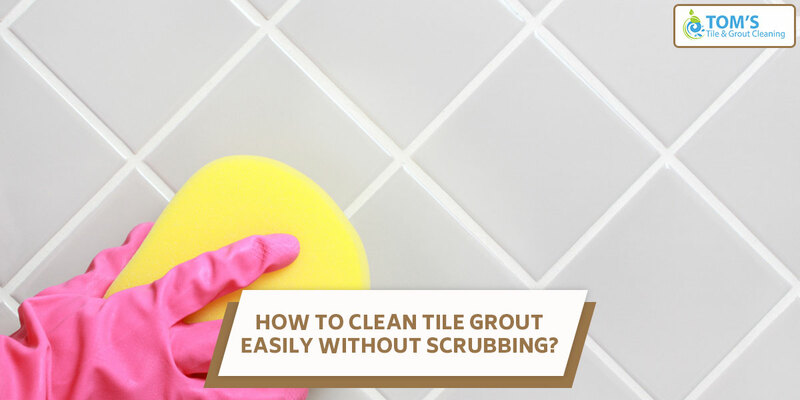 The grout gets discoloured with time as it is porous in nature. This happens due to the accumulation of water from mop, contaminants and moisture. Due to this reason mould, mildew and bacteria grow in the grout which leads to odours and staining. The floor grout gets contaminated due to the use of cleaner that sinks. Use of detergent containing cleaners that settles into the floor grout along with oils and dirt. Improper use of sealers used in the past trap oils and dirt in the grout instead of keeping them out. Use of cleaners that have a high pH makes the grout more fragile and porous. Due to this, there is a fast re-soiling in the grout. Many cleaners leave residue in the past that trap dirt. Before planning Grout Cleaning it is necessary to understand the type of contaminant or dirt that is going to be removed. Based on this knowledge the most appropriate cleaner in our professional Tile and Grout Cleaning Melbourne is used. The material of the floor must be also kept in mind while carrying out the grout line cleaning. Choice of the correct cleaner and its proper use are also some important factors that result in a successful Grout Cleaning. The cleaner that is used on a daily basis must be soap salt-free, otherwise, scum will get easily deposited. In case of deep Grout Cleaning a cleaner with a low level of sodium and potassium salts must be used. The cleaner must also have the capability to soften the contaminants and make them float to the surface. It should also make the dirt stick to the mop. The most important factor while choosing the cleaner is its pH. High caution must be adopted at the time of using acidic products because they tend to bleach the floor rather than clean it. If there is a lack of attention and wrong type of cleaner is used then the grout will become dirty and the floor will look dull. Thus, it is beneficial to invest some extra time while Grout Cleaning to make the restroom look and smell clean. To get your bathrooms as good as new, hire Tom’s Tile and Grout Cleaning Melbourne professional. Call us on 1300 068 194.